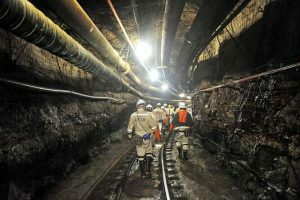 According to MiningWeekly.com, precious metals producer Sibanye-Stillwater’s Southern Africa platinum group metals (PGMs) operations have produced about 569 000 oz of platinum, palladium, rhodium and gold (4E) at an all-in sustaining cost (AISC) of about R10 110/oz for the six months ended 30 June. This means Sibanye is likely to reach the upper-end of its 4E production guidance for the full-year, while its AISC is expected to be towards the bottom end of guidance. The average 4E basket price increased by 8%, from R12 006/4E oz in the first half of 2017 to R12 941/4E oz in the first half of 2018. This basket price increase, together with the good operational performance, has resulted in the adjusted earnings before interest, taxation, depreciation and amortisation (Ebitda) from the Southern African PGM operations. The US PGM operations have produced about 294 000 oz of platinum and palladium (2E) at an AISC of about $653/oz. This is in line with yearly production and cost guidance for 2018. The average 2E basket price increased from $850/2E oz in the first half of 2017 to $993/2E oz in the first half of 2018, resulting in expected adjusted Ebitda of about R1.9-billion, or $150-million. Meanwhile, Sibanye’s Southern Africa gold operations produced about 600 000 oz of gold at an AISC of about R520 000/kg in the six months. At an average gold price of R519 994/kg in the first half of this year, the Southern Africa gold operations are expected to contribute about R1 billion, or $82 million, to group adjusted Ebitda, compared with R2,3 billion, or $171 million, in the first half of 2017. The average exchange rate in the first half of the year was R12,31 to the dollar, compared with R13,21 in the first half of 2017. Sibanye expects to report an attributable profit to shareholders of R77 million, or $6 million, for the first half of the year, compared with an attributable loss of R4,8 billion, or $364 million, for the first half of 2017. Earnings a share are likely to be 3c per share and headline earnings 4c, compared with a loss of 298c per share and a headline loss of 135c per share recorded in the prior comparable period.